Iran has reported a major rise in imports from several key European countries over a period of nine months starting 21 March 2017. As Iran is celebrating the second anniversary of the removal of sanctions, figures show the country’s imports have been picking up significantly even though there have been certain changes in the overall pattern of trade. Figures released by the country’s Customs Administration show China remained Iran’s biggest exporter over a period of nine months starting 21 March 2017 – the start of the Iranian calendar year. It was followed by the UAE through a moderately large margin. Turkey, South Korea and Germany were the next top exporters to Iran albeit at scales lower than that of the UAE and much smaller than China’s. Figures also showed that imports from Europe specifically saw a significant surge from March to December. However, Iran’s exports to Europe declined over the same period for reasons that remain unknown. Britain led the surge in EU exports to Iran by recording a whopping rise of 117 percent compared to the same period last year. It was followed by Sweden (107 percent), Belgium (50 percent), Switzerland (39 percent), the Netherlands (37.7 percent), Italy (29.5 percent), and Spain (25 percent). Among the above countries, the value of exports made by Switzerland, France and Italy were the highest among the rest and stood at $1.47 billion, $1.22 billion and $1.02 billion, respectively. Britain’s exports amount to $0.8 billion. Figures also show that Russia’s exports to Iran saw a major decline of 54.6 percent over the period under study to stand at around $0.46 billion. Furthermore, US exports to Iran dropped by 43.3 percent to reach $0.1 billion. The most important goods exported to Iran over the period under study included vehicle parts for semi-knocked down (SKD) projects. The next top imported items were cattle feedstock ($1.11 billion), semi milled rice ($0.98 billion), soy beans ($0.74 billion) and vehicles ($0.65 billion). 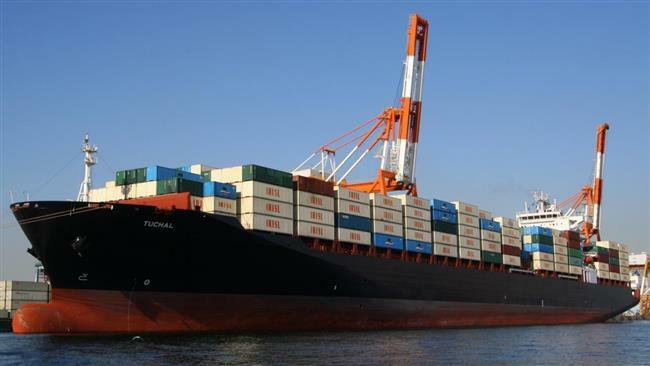 Iran’s imports of the four categories were higher than last year by 8.3 percent, 86.4 percent, 4.7 percent and 20.8 percent. Figures released by Iran’s Customs Administration show China also remained Iran’s top export destination from March to December. It was followed by Iraq, the UAE, South Korea, Afghanistan, India and Turkey as the next top importers of Iranian goods. As Iran’s imports from Europe saw a major rise over the period under study, the country’s exports to East Asia to the same degree went on a huge rise compared to last year. The largest leaps occurred in exports to the Philippines (630 percent), Hong Kong (569 percent), and Malaysia (330 percent). Exports to several European countries also surged over the period. The highest rise occurred in exports to Slovakia at 960 percent with a total value of $73 million. Other EU top importers were Slovenia, and Switzerland whose imports from Iran were higher than last year by 778 percent and 369 percent with total values of $11 million and $61 million, respectively. Exports to Qatar – under a strict Saudi-led trade embargo since August – also rose by 97.6 percent with a total value of $0.16 billion.